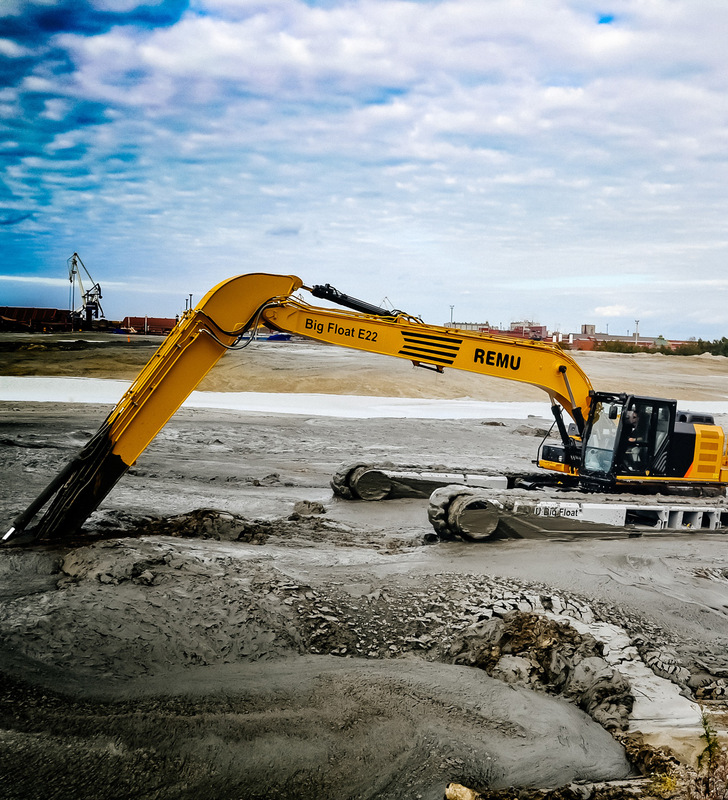 Big Float amphibious excavators have many additional features to choose from. Contact our sales team to discuss your individual requirements. The following list includes just some of the options. 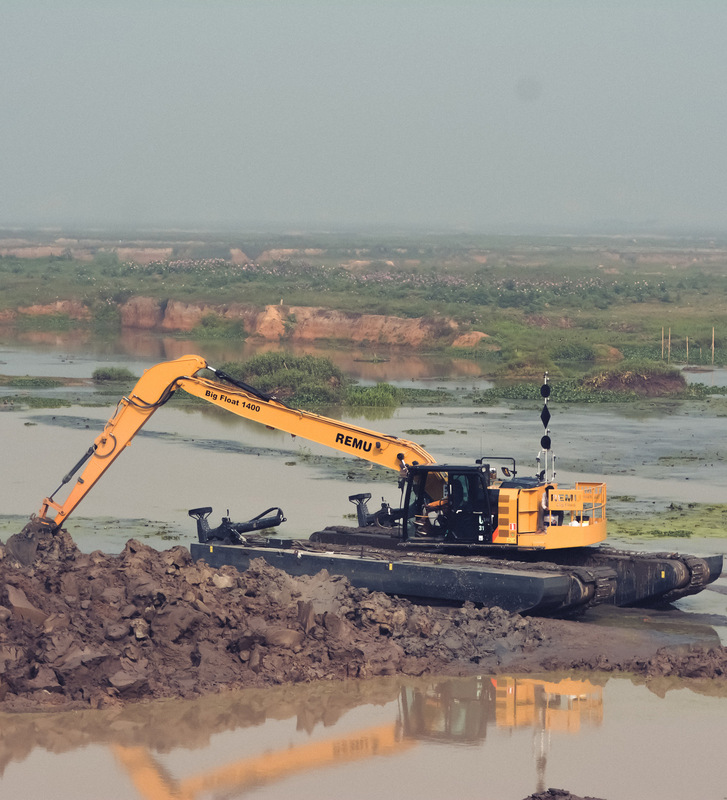 Removing vegetation from shallow lake that suffered overgrowing. 2 Big Float E22 working to clear the river. Installation of the base machine was conducted locally in Senegal. 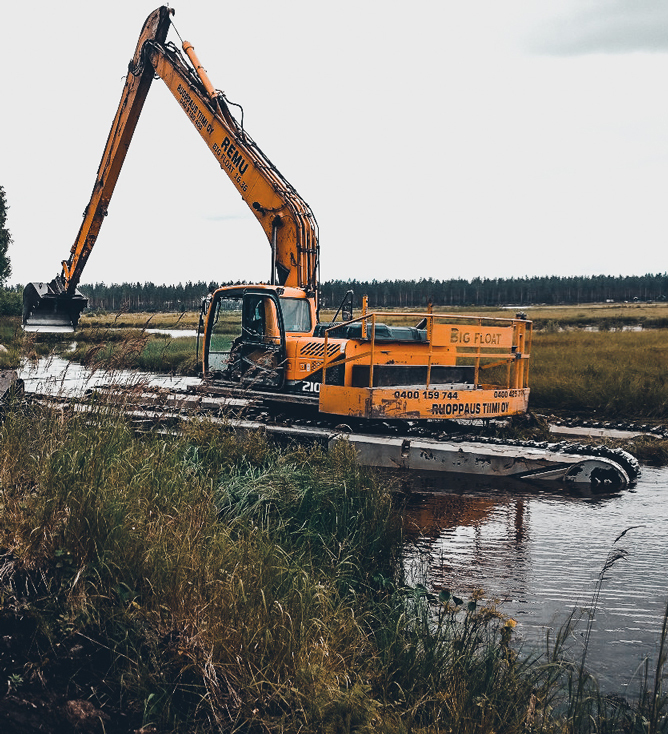 Shipping of the pontoons, center piece and counter weight is simple and all that is needs for pontoon undercarriage fits in two 40” containers. 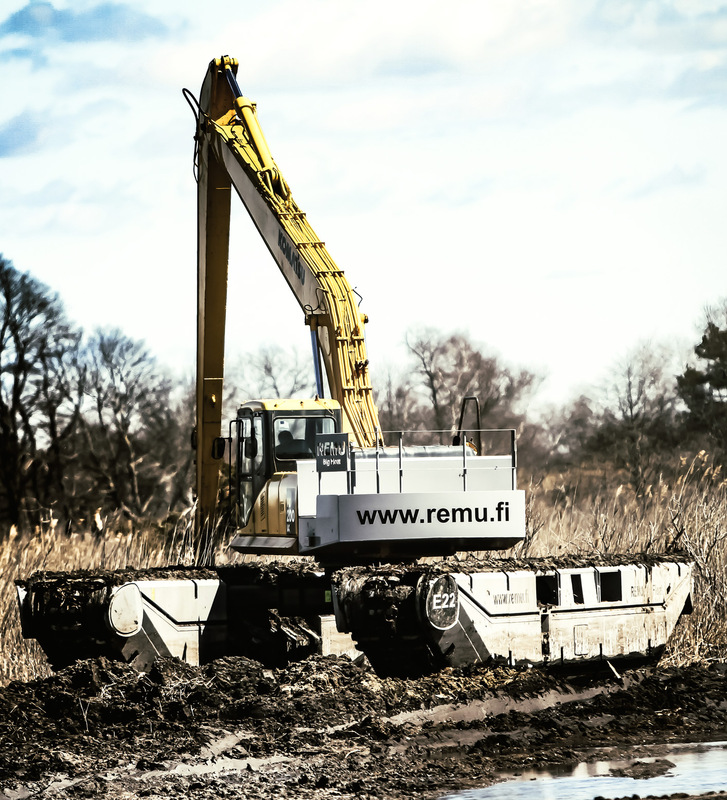 REMU is a Finnish manufacturing company of Screening buckets, Combi screening plants and Big Float amphibious excavators.